Cineam - Samsung Galaxy J1 is one of the most affordable Android smartphones launched by Samsung to date which debuted in early September. And now it's available for purchase with a price range of $ 95 / Rp 1.3 million. However, it looks like Samsung plans to launch a mini version of the Galaxy J1 with specifications that are slightly different on each device. Samsung Galaxy J1 Mini will be equipped with features that are slightly better than the standard model, so there is a question why the South Korean company named the newest device as "mini." For example, both the Samsung Galaxy J1 and the Mini version boast a 4.3-inch Super AMOLED capacitive touch screen that supports a resolution of 800 x 480 pixels. However, the Mini variant has a Spreadtrum SC8830 chipset, a 1.5GHz quad-core that is a little more powerful, while the Samsung Galaxy J1 is equipped with a 1.3GHz dual-core processor. In addition, the Samsung Galaxy J1 Mini is packed with 1GB of RAM and 8GB of storage, while the current model only has 512MB RAM and 4GB of internal memory. Also, the two smartphones are equipped with a 5-megapixel camera facing the back and for the front camera the Galaxy J1 is packed using a 2-megapixel camera while the Mini model is equipped with a simple VGA camera as a selfie shooter. According to GFXBench, the main difference between these two Galaxy J1 handsets is the software. 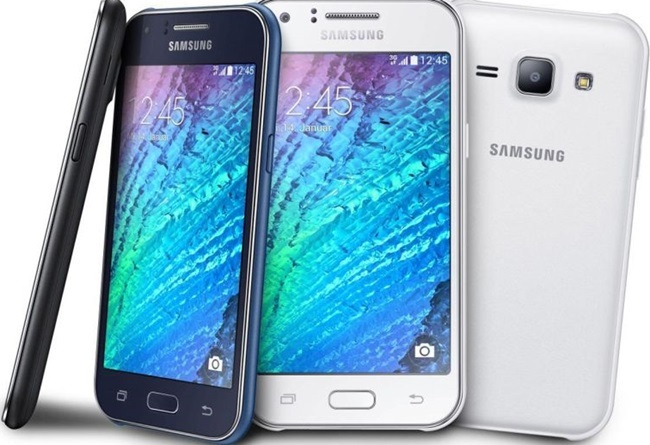 Currently, the Samsung Galaxy J1 offers performance on the device with the Android 4.4 KitKat operating system directly from the box, while the upcoming Galaxy J1 Mini will run the Android 5.1.1 Lollipop operating system. The Samsung Galaxy J1 Mini has been seen on the Spreadtrum site with the model number SM-J105F, such as the name of the cellphone in the GFXBench database. At the moment there is no information about availability or price, but the smartphone with the model number SM-J105F has recently passed Zauba, an Indian export-import entity, at a price of $ 50. Because the Galaxy J1 Mini has been leaked from various sources recently this, we hope Samsung will soon formalize its newest device in the next few weeks.